We are Derby’s leading screen printer, established in 1953 Ashfield Printing is a successful family business founded on customer care, print quality and product innovation. We pride ourselves on being the ultimate one stop print shop, with all your print solutions under one roof - from letterheads to business cards, from banners to exhibition panels, from window stickers to display cards, from booklets to direct mail pieces, from point of sale to technical labels. 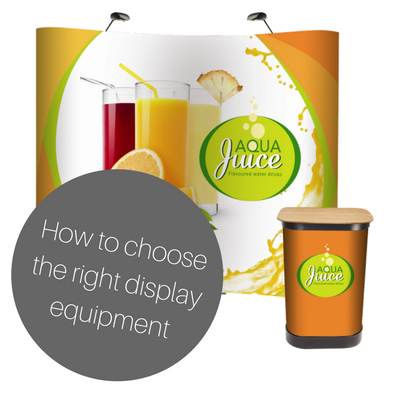 choosing the right display equipment will increase the number of sales leads you get from your exhibition? If you have the right display equipment, you will increase your visibility within the exhibition, create a positive first impression and attract the right kind of visitors. It's that simple! What space have you booked? What are your goals for the stand? Who are you looking to attract and what do you need to say to them? What space will you be displaying in? · What floor space do you have? · Are back walls provided or do you have to make them? 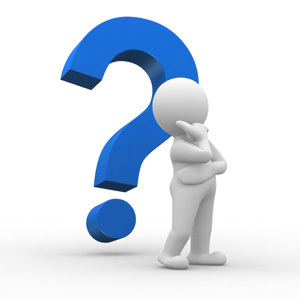 · Which sides have walls and which are open? · Where will people be coming from as they approach your space? · Do you have carpet, lights and electricity? How often will you be using the display? How often will the message change? How will you be transporting it? What else do you need to do on the stand? choice about selecting display equipment. Ever wondered what your brand colours say about you? The colour of fire, associated with energy, war, danger, strength, power, determination as well as desire. Red is a very emotionally intense colour. It has very high visibility, which is why stop signs, stoplights, and fire equipment are usually painted red. Often used to bring text and images to the foreground. Used as an accent colour to stimulate people to make quick decisions; it is a perfect colour for 'Buy Now' and is commonly used for price promotions. Combines the energy of red and the happiness of yellow. It is associated with joy, sunshine, and the tropics. Orange represents enthusiasm, fascination, happiness, creativity, determination, attraction, success, encouragement, and stimulation. To the human eye, orange is a very hot colour, so it gives the sensation of heat. Nevertheless, orange is not as aggressive as red. Orange increases oxygen supply to the brain, produces an invigorating effect, and stimulates mental activity. It is highly accepted among young people. As a citrus colour, orange is associated with healthy food and stimulates appetite. The colour of sunshine. It's associated with joy, happiness, intellect, energy and it indicates honour and loyalty. Yellow produces a warming effect, arouses cheerfulness, stimulates mental activity, and generates muscle energy. Yellow is often associated with food. Bright, pure yellow is an attention getter, which is the reason taxicabs are painted this colour. When overused, yellow may have a disturbing effect; it is known that babies cry more in yellow rooms. Yellow is seen before other colours when placed against black; this combination is often used to issue a warning. Use yellow to evoke pleasant, cheerful feelings. You can choose yellow to promote children's products and items related to leisure. Yellow is very effective for attracting attention, so use it to highlight the most important elements of your design. Men usually perceive yellow as a very light hearted, 'childish' colour, so it is not recommended to use yellow when selling prestigious, expensive products to men – nobody will buy a yellow business suit or a yellow Mercedes. Yellow is an unstable and spontaneous colour, so avoid using yellow if you want to suggest stability and safety. Light yellow tends to disappear into white, so it usually needs a dark colour to highlight it. Shades of yellow are visually unappealing because they loose cheerfulness and become dingy. The colour of nature. It symbolizes growth, harmony, freshness, and fertility. Green has strong emotional correspondence with safety. Dark green is also commonly associated with money. Green has great healing power. It is the most restful colour for the human eye; it can improve vision. Green suggests stability and endurance. Sometimes green denotes lack of experience; for example, a 'greenhorn' is a novice. In heraldry, green indicates growth and hope. Green, as opposed to red, means safety; it is the colour of free passage in road traffic. Blue is the colour of the sky and sea. It is often associated with depth and stability. It symbolizes trust, loyalty, wisdom, confidence, intelligence, faith, truth, and heaven. Blue is considered beneficial to the mind and body. It slows human metabolism and produces a calming effect. Blue is strongly associated with tranquillity and calmness. In heraldry, blue is used to symbolize piety and sincerity. You can use blue to promote products and services related to cleanliness (water purification filters, cleaning liquids, vodka), air and sky (airlines, airports, air conditioners), water and sea (sea voyages, mineral water). As opposed to emotionally warm colours like red, orange, and yellow; blue is linked to consciousness and intellect. Use blue to suggest precision when promoting high-tech products. Blue is a masculine colour; according to studies, it is highly accepted among males. Dark blue is associated with depth, expertise, and stability; it is a preferred colour for corporate America. Avoid using blue when promoting food and cooking, because blue suppresses appetite. When used together with warm colours like yellow or red, blue can create high-impact, vibrant designs. Combines the stability of blue and the energy of red. Purple is associated with royalty. It symbolizes power, nobility, luxury, and ambition. It conveys wealth and extravagance. Purple is associated with wisdom, dignity, independence, creativity, mystery, and magic. According to surveys, almost 75 percent of pre-adolescent children prefer purple to all other colours. Purple is a very rare colour in nature; some people consider it to be artificial. Associated with light, goodliness, innocence and purity. It is considered to be the colour of perfection. White means safety, purity, and cleanliness. As opposed to black, white usually has a positive connotation. White can represent a successful beginning. In advertising, white is associated with coolness and cleanliness because it's the colour of snow. You can use white to suggest simplicity in high-tech products. White is an appropriate colour for charitable organizations; angels are usually imagined wearing white clothes. White is associated with hospitals, doctors, and sterility, so you can use white to suggest safety when promoting medical products. White is often associated with low weight, low-fat food, and dairy products. Black is a mysterious colour associated with fear and the unknown (black holes). It usually has a negative connotation (blacklist, black humour, 'black death'). Black denotes strength and authority; it is considered to be a very formal, elegant, and prestigious colour (black tie, black Mercedes). Black gives the feeling of perspective and depth, but a black background diminishes readability. A black suit or dress can make you look thinner. When designing for a gallery of art or photography, you can use a black or gray background to make the other colours stand out. Black contrasts well with bright colours. Combined with red or orange – other very powerful colours – black gives a very aggressive colour scheme. If your business card is in black and white it’s not going to stand out from everyone else’s. There’s nothing more nondescript or unimaginative than a black and white business card. Don’t be afraid to use colour. If you need help, contact a reputable printer, and someone on their staff will help you make appropriate choices. In fact, they’ll possibly have samples of materials for you to have a look at. You can incorporate colour in your fonts, your logo and/or your tagline. You can also choose a coloured card stock. You may think that coloured cards are not professional but in fact they attract attention better and can effectively convey your message. It’s not enough to include the business name on your business card. You need to include your name too. This gives the card the personal touch and means that they also have a point of contact. Quality counts. If you’re consistent about quality control at every level, it’s what sets you apart from your competition. Make sure that you resist the urge to print your own business cards on your office printer as these won’t look or feel professional and this will be the image that gets put across. Work with a reputable printer. They are priced competitively, because they have to be, so choose a printer who’s willing to help you select all the right components for your business card. The feel of your business card printing is as important as the look, so work with the printer to find the right material. There are many quality finishes to consider: gloss, silk, satin, linen, metal, plastic, etc. Whatever finish you choose try and go for the heavier weight. This implies substance, a company of substance, one that doesn’t cut corners. Your business card speaks volumes about your business and the way you conduct business and is a stand-in for you and your business. Make sure that you leave a positive impression each time you leave your business card behind or hand it to a potential customer. Don’t cut corners with your business card! Whether you are advertising a business opening, event or a new product there are a few useful points for advertising using flyer printing that can really make a big difference. When creating a flyer, it’s ideal to keep the information brief as the last thing people want to read is a lot of text. By placing it in the section that is most visible so it’s seen instantly works best too. The info to put on the flyer depends on the event or what you are selling. Some general information to include is the name, address, contact information and a directive call to action such as a cutoff date. The graphics and photographs to choose for your flyers should be geared towards the purpose of your flyer. If you are selling items, consider adding a photograph of one of the items that you’re selling. If you are promoting an event, choose a background, in bold colors. Another option is to select flyers with black and white photos or graphics for an elegant classy look but full colour is usually the most appealing to your wider audience. You can use a flyer to advertise a sale or grand opening with a voucher attached to it. Putting engaging graphics on the top section of your flyer with the coupon underneath can work well. Next time you have something that you want to promote have a think on how a flyer could work for you and your business. Not sure on how a banner can help your business? Grab the attention of people passing by. One of the most widely known uses for vinyl banners is storefront advertising, and for good reason. Whether by car or on foot, people are constantly rushing from one destination to the next. If you can’t find a way to grab their attention, you won’t benefit from their business. By using eye-popping colours and easy-to-read text, your vinyl banners will make potential customers take a second look at what you have to offer. Showcase your business at conventions. As difficult as it may be to persuade foot traffic to enter your store, it’s even harder sometimes to get people to your station at an event. Given that everyone else there is trying to do the same thing, how are you going to ensure that your booth is the one people are lining up to see? That’s why vinyl banners are essential for boosting business. With the right design and prominent placement, your vinyl banner can make sure that visitors flock to your station and make the event a SUCCESS for YOUR business. Demonstrate sale or productivity totals during meetings. Let’s face it. Meetings can get a little stale from time to time, especially if you’re rattling off a bunch of statistics. Instead of having everyone buried in his or her binder, trying to follow along to what you’re saying, create a banner that clearly demonstrates how business is doing. If you place your banner at the front of the room, you can guarantee that all eyes will be focused on you as well. When you have the attention of your colleagues, you can conduct a more productive meeting each and every time, which can translate into better business all year long. We can help your business STAND OUT from the crowd with a personalised printed banner. Contact Ashfield Printing on 01332 662026 or email sales@ashfieldsp.co.uk. We are a full service print provider offering innovative solutions for all your print needs. Our aim is to make sourcing high quality print a pleasure, by ensuring we always deliver on time and on budget. As a leading print supplier we are continually investing in the latest technology to ensure that you receive print that is to the highest standard, and tailored to meet your needs.